In the interest of full disclosure, here’s a little tidbit of information about me – I’m as high strung as they come and have battled varying degrees of anxiety for years. I’ve been a chronic worrier since I was a kid, and while some days are more challenging than others, I do feel that over the years I have found a few things that make me feel better and keep me calm. Some of these things include yoga, going for a brisk walk, painting, or lighting scented candles and taking a bath. These are little comforts for me and I believe that self-pampering and aromatherapy really help to soothe my mind and body. I love essential oils and I find that certain scents have an especially positive effect on my mood. Lavender, rose, ylang-ylang, and vanilla are my favorites and when they are combined, they instantly send me to dreamland. 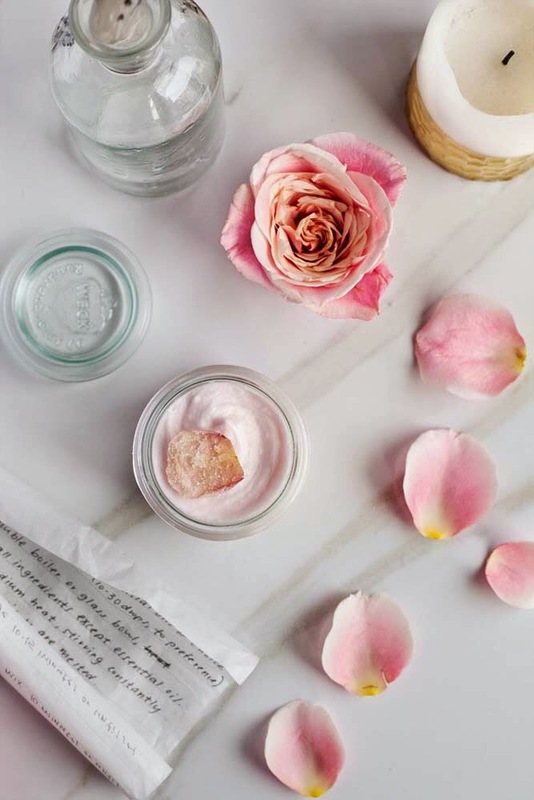 Essential oils also have a lot of effective beautifying properties as well, so what better way is there to reap their stress-relieving benefits than by using them to make an all natural body butter? This particular recipe results in a rich, whipped texture that reminds me of white chocolate mousse, although trust me, you don’t want to eat it. With only two ingredients comprising the actual body butter, it is really easy to make, and you can totally customize this recipe with your own essential oil combinations if you’re not a fan of my soothing blend. It’s totally up to you! Read on for a stress-free mind and super soft skin! 1 // Measure the coconut oil (it should be solid) and shea butter into a medium bowl. Add rose water and stir with a spoon until well blended. 2 // Blend the buttery mixture with egg beaters or a hand mixer until soft peaks start to form. Set aside. 3 // Add essential oils to your partially whipped mixture. Blend further until stiff peaks form. 4 // Spoon mixture into an empty and clean mason jar. Store in a cool dry place. If you’re giving it away as a gift, feel free to dress the jar up with dried rose petals, lavender buds, ribbon, and/or twine. Get creative! 5 // Enjoy your gorgeously floral scented, silky smooth skin! If you give this a try, let me know what your verdict is! Also, I’m always on the lookout for beauty DIYs, so please let me in on a few of your favorites! If you’ve read anything about actress Nikki Reed, you’ll know that she is a busy, busy lady with an awe-inspiring collection of job titles. Not only is she a successful actress and musician, but she is also a passionate conservationist and champion of animal rights. 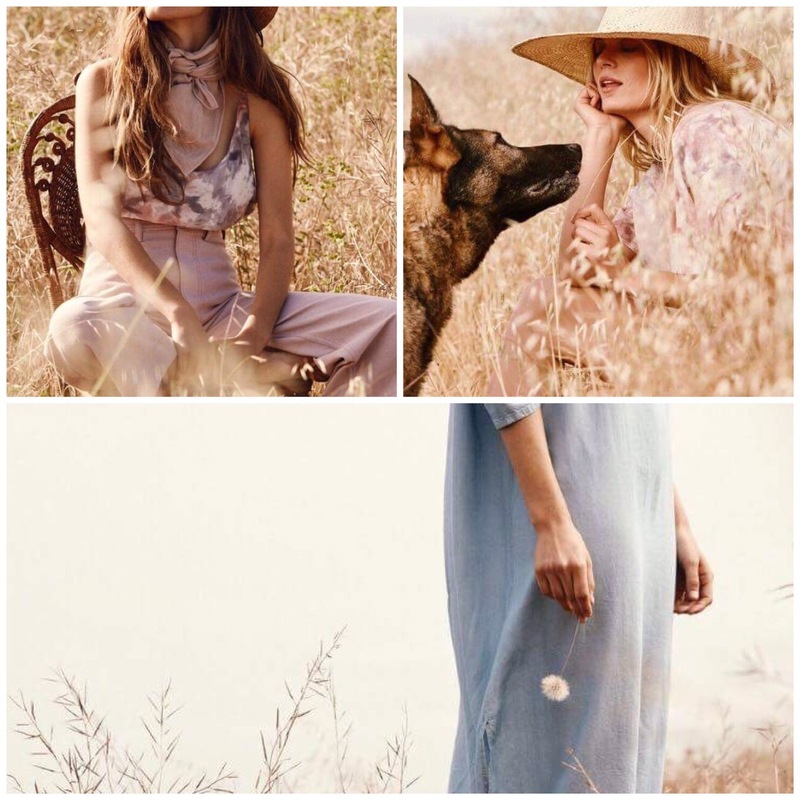 Now she can also add ‘designer’ to her list of occupations, as she has partnered with Morgan Bogle (the founder of Freedom of Animals) to launch the eco-chic lifestyle brand BaYou With Love. So what kind of products can you find within the label? Pretty much everything from clothing and loungewear to beauty. 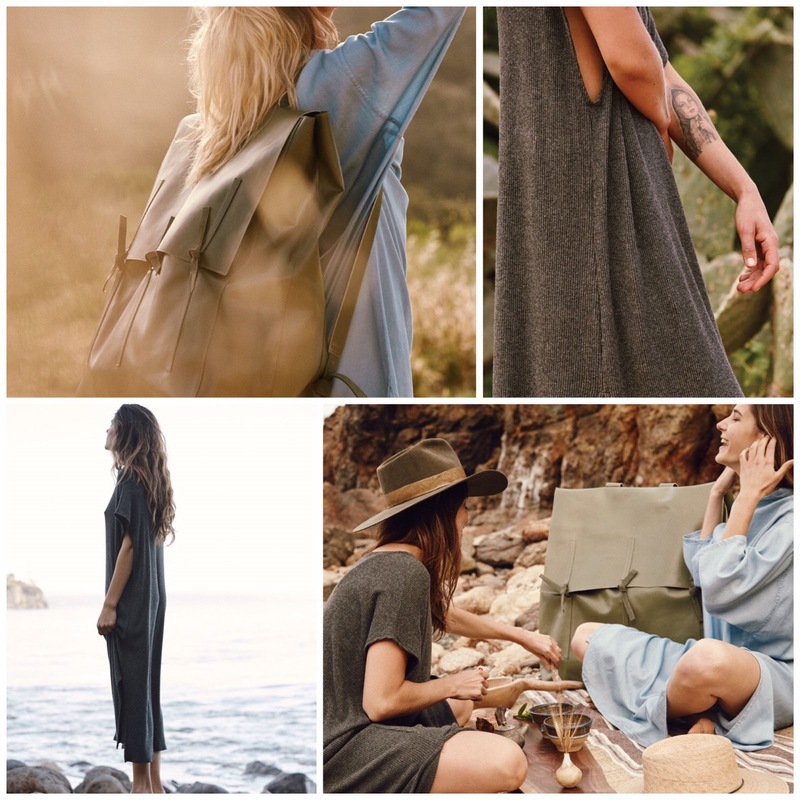 Everything within the line is made out of environmentally friendly materials – think organic cotton, tencel, cupro, and recycled canvas. The clothes are also gorgeous, with loose, flowy silhouettes, muted colours, and subtle details. This chambray dress is my favorite and is just the kind of effortless piece I would want as my summer uniform. Natural clothes have a reputation for looking frumpy but that is SO not the case with this line. Every piece is beautiful with a laid back California feel. Just like the clothes, the beauty products are also lovingly crafted out of natural materials, such as olive oil, calendula, and plant-based essential oils. I am particularly intrigued by the BYL Multi-Purpose Skin Balm which can be used anywhere on your body that needs a little extra moisture and TLC. It’s vegan, biodegradable, and scented with soothing lavender. So basically it’s just the thing you want to slather on your body after a post-yoga shower! Aside from the fact that all of the products are beautiful and high quality, one of my favorite things about BaYou With Love is its commitment to sustainability and USA production. Every single piece is made in the United States which helps to support local artisans and ethically run factories. From the health of the planet to the health of the people who wear these items, BaYou With Love is designed for people who are mindful about what they put on their bodies and how those decisions affect the planet. It is a beautiful line with beautiful values at its core. I’m inspired by its message and believe that brands that support independent artists, local production, and sustainable practices are so important and I hope that one day those kinds of brand values aren’t selling points, but that they are the norm. If you haven’t checked this new brand out yet, you are in for a treat! I have been using face masks on my skin for years to keep it healthy, glowy, and in tip-top shape but I used to neglect my hair and would simply slather it in mousse, gel, or hairspray to keep my naturally curly hair frizz-free and manageable (albeit crunchy and lackluster). A couple of weeks ago I was having an indulgent night at home (Netflix, a face mask, popcorn, and Ben & Jerry’s ‘The Tonight Dough’ ice cream were all happening) and I decided to do a simple hair mask. I googled natural hair care ingredients and found that honey, coconut oil/olive oil, and egg were all consistently listed as excellent, nourishing conditioners for the hair. The egg enriches the hair with proteins and nutrients while the oil deeply hydrates the hair. The honey acts as a natural humectant, drawing more moisture into each strand. It also has natural anti-bacterial/fungal properties and helps to kill the fungus that causes dandruff. I was initially grossed out by the idea of putting a raw egg in my hair (it smells funny y’all) but I decided to include it anyways to see if it would actually benefit my consistently dehydrated hair. Needless to say, this simple but effective hair mask has become a part of my regular beauty routine. While I have used both coconut and olive oil, I find olive oil to be much more hydrating for my hair (although it is heavier). This mask works wonders on parched, colour-treated, and curly hair. Yes, massaging an egg into your hair is gross, but trust me, the silky Princess hair that you will be rewarded with afterwards will make it worth it. Here’s how it’s done. 1 // This hair mask is honestly so easy to make, it’s ridiculous. First things first, scoop 2 tablespoons of coconut oil or olive oil into a little bowl. If you choose to use coconut oil, heat it up in the microwave so that it melts from its natural solid state. Next, crack an egg into the oil and whisk it until it is well blended. Lastly, add the honey. I use liquid honey, but if you do choose to use solid honey, heat it up in the microwave for a few seconds so that it melts. Mix it all together until it’s smooth and well blended. 2 // When you put the mask in your hair, I would recommend doing so over the sink because it can get messy, and the last thing anyone wants is a raw egg, honey, and oil splashed all over the bathroom. Bend your head over, and massage the mask into your hair and scalp, trying to get as much of the mask into your hair as you can without letting any run down the drain. I like to focus on the ends of my hair because they are always super dry with the most damage. Finally, wrap your head in a towel and let the mask sink in for as long as you can stand. I would recommend waiting at least fifteen minutes. I usually leave it in for an hour or two while I relax and watch TV so that it really gets the chance to penetrate the strands of my hair. 3 // When you are ready to wash it out, hop in the shower and rinse all of the mask off before applying conditioner. Rinse out the conditioner, shampoo as usual, and then apply conditioner again to your ends before rinsing with cold water. Comb your hair with a wide-toothed comb and let your hair dry naturally. Enjoy your ridiculously soft, shiny hair. Seriously, I feel like a bunny after I use this mask, my hair is so silky. So there you are. I love this hair mask and use it once or twice a week to keep my naturally curly soft, hydrated and frizz-free. It has totally transformed my hair and I can’t recommend it enough. For those who give it a try, let me know how you feel about the results!